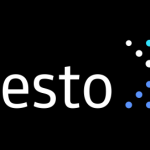 Welcome to the third issue of the Presto Newsletter, a monthly round up of news and events relevant to the Presto community. The story of Schibsted Media Group journey from Athena to Presto to analyze billions of events. See how cloud data warehouse services compare on performance and cost. Read about FINRA’s journey to the cloud and Presto. Fraud detection use case analyzes 60 billion new financial trade events per day. Ease of use, connectors, and performance of Presto now on Azure. Are you taking only half of the advantage of Columnar File Formats? Find out yourself thanks to this excellent article by Eric Sun from LinkedIn. Learn about JD.com’s experience running a 100-node Presto cluster, plus other user stories, like BazaarVoice. Slides included. Experience the power of Presto natively on Azure, querying data on Azure Data Lake Store and Azure Blob Storage. A talk from Strata NYC and slides from previous events. A talk (and slides) from Strata NYC on the Iceberg project, a new table layout for cloud object stores.